Chinese manufacturer Oppo, on the fifth anniversary of its ColorOS operating system, hosted an event in Shenzhen, China. During the event, the company announced the latest variant of the OS - ColorOS 6.0. According to Oppo, ColorOS has undergone 13 major updates until now. It claimed that the OS has 250 million users in 140 countries and regions. The mobile maker also highlighted the ability of ColorOS, the company's custom Android ROM, to provide better experiences for its users. Notably, Oppo's ColorOS 6.0 will make is official debut in 2019. However, the company has details the key features of the upcoming version. As seen on Oppo's dedicated website for its flavour of Android, ColorOS 6.0 brings a bezel-less or 'borderless' design with a lighter colour scheme. The new OS comes with a lot of White and gradient backgrounds to make the user interface appear simpler and more spacious. 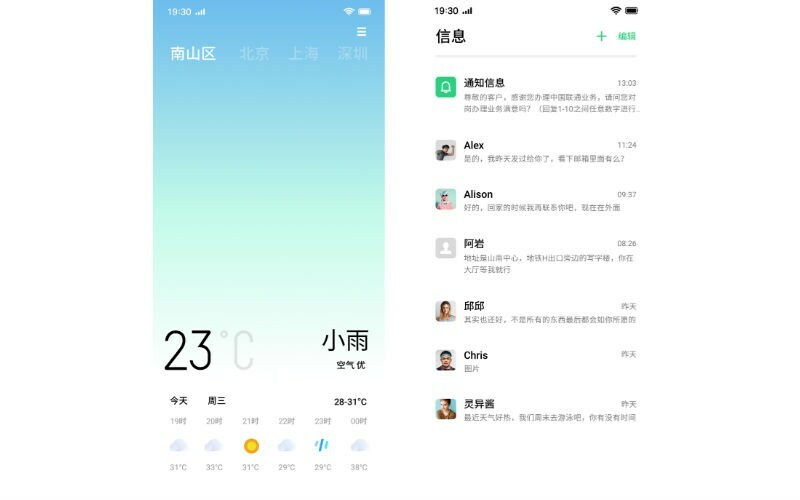 A ColorOS 6.0 also brings a new font called Oppo Sans, which the Oppo has developed along with Chinese company Hanyi. The new font comes with more modern, uniform, and neater strokes, ITHome reports. Further, the new ColorOS version features machine learning capabilities. It essentially freezes apps in the background, rather than closing them. The AI-based feature analyses user's your app activity to do that. This reportedly reduces power consumption by 7 percent. Oppo also details smoother, "slower" animations that it claims are more comfortable. In another report, ITHome says that Oppo has also introduced a 'game sounder function' to the ColorOS 6.0. The feature essentially comes with customised sound templates for a different gaming experience. This feature will reportedly soon be available in beta. As mentioned, Oppo will officially release ColorOS 6.0 next year. As of now, the company has not provided the full changelog of the upcoming OS and we expect to get more details in the next couple of months. Oppo has not shared the list of supported smartphones as well.